Châteaux, churches and abbey-church… Old stone buildings, that’s something we know about! Many still bear the marks of a rich historic past. So discovering our architectural heritage is like a real journey through time. Constructed at the end of the 15th and the beginning of the 16th centuries in Vaux-sur-Somme stones, this building is remarkable for the tympanum on its flamboyant façade whose large bas-relief depicts the entrance of Christ into Jerusalem on Palm Sunday. 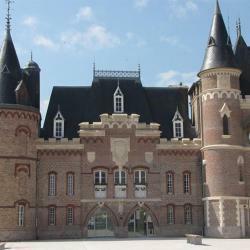 THE MUSEUM OF "Les amis du vieux Corbie"
Discover the prestigious past of Corbie Abbey. The focus is on its critical periods: its foundation, the siege of the town in 1636, the life of Saint Collette and the demolition during the French Revolution. Scriptorium: reconstruction. Illustration through reproductions of manuscripts and a 3-D map of the town. One of the particular features of region is that it is overflowing with hidden treasures. Equip yourself with the treasure map which appears at the beginning of this guide and hop on your bike for a day’s exploration. 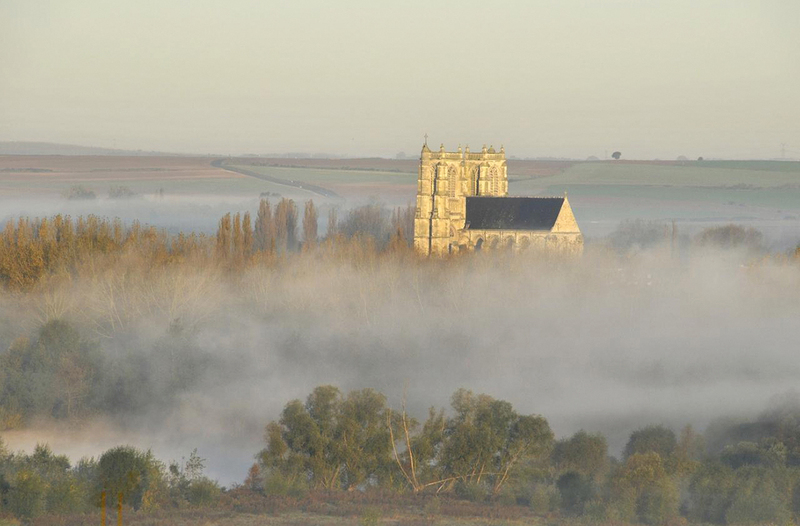 In every village or hamlet, a chateau, church or chapel will have a story to tell you.